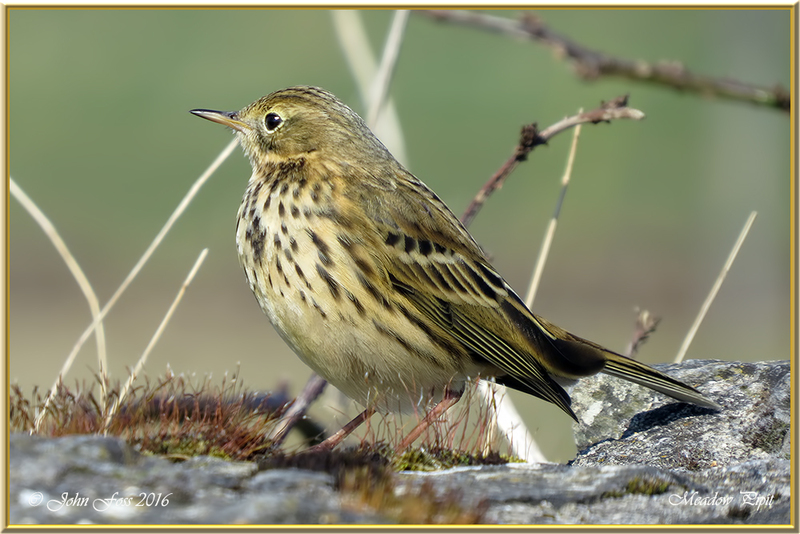 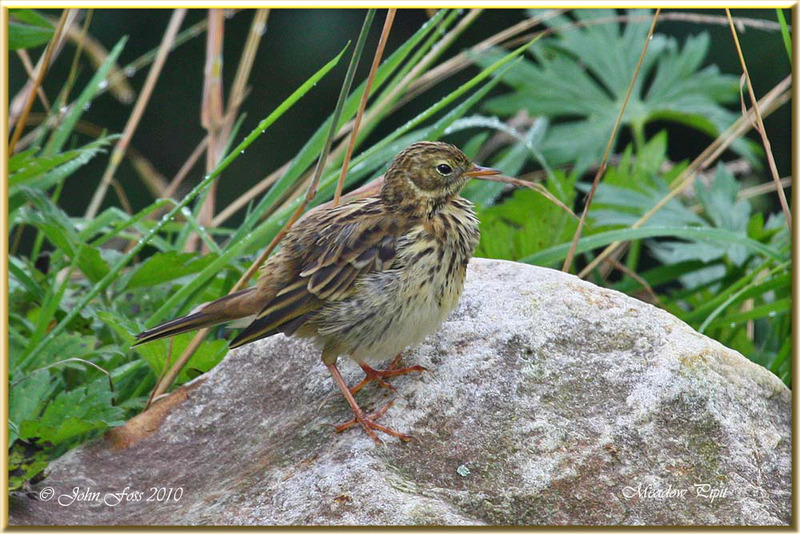 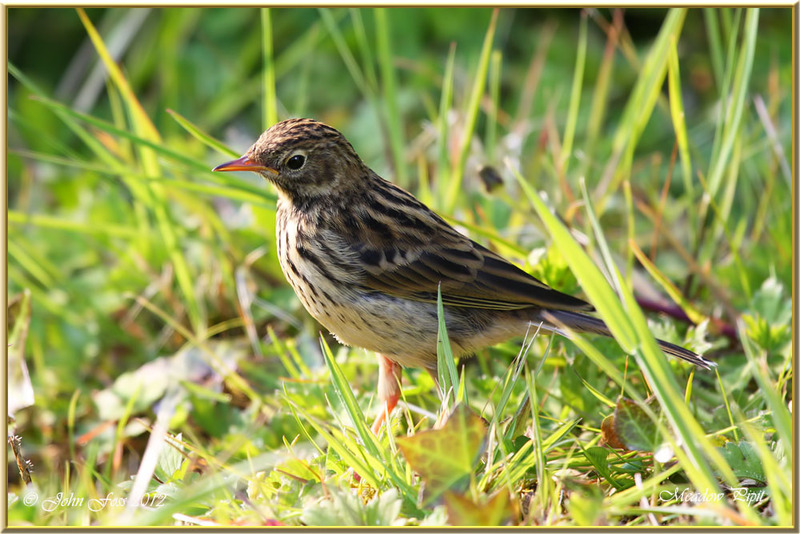 Meadow Pipit - A small, brown, or olive, streaky bird, the streaks becoming closely packed on the upper breast. 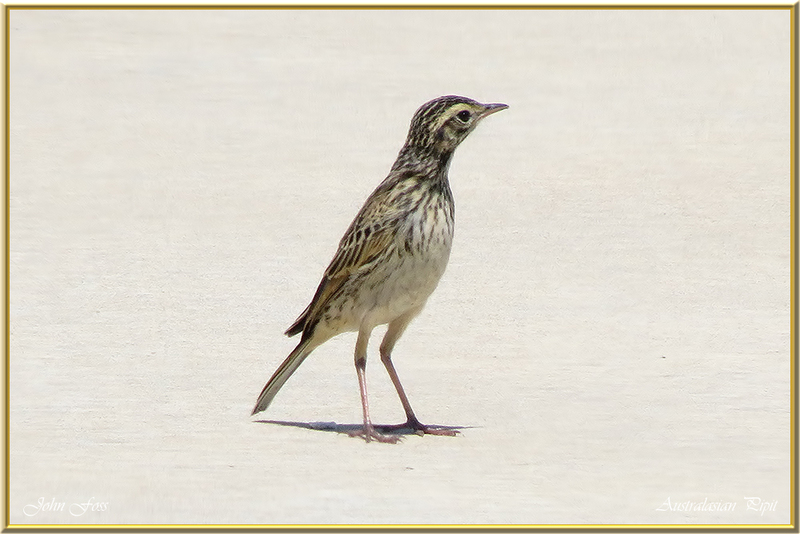 White outer tail feathers. 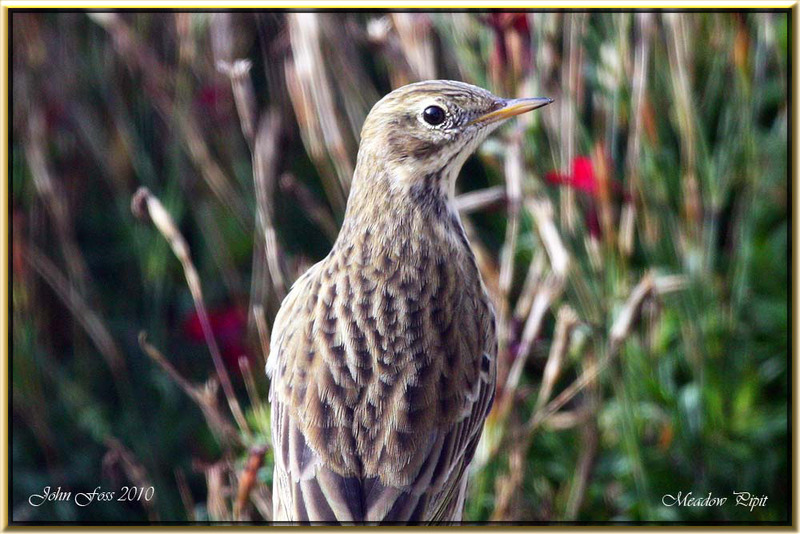 Indistinct facial pattern. 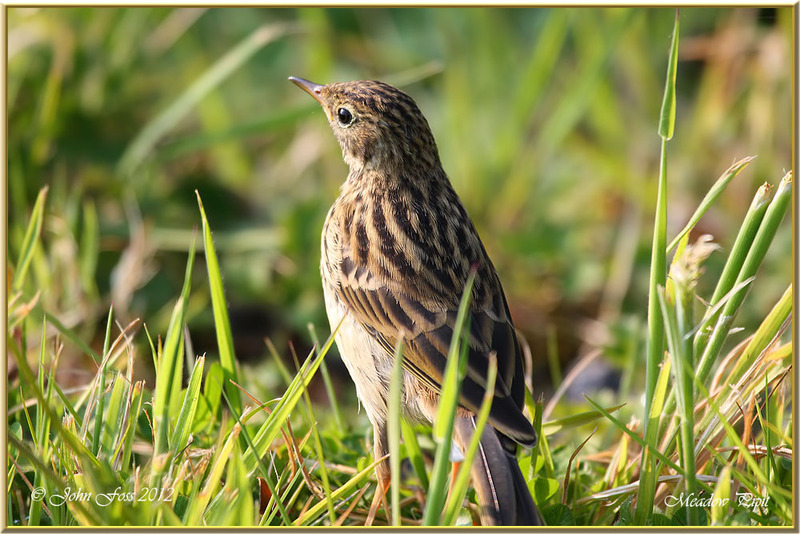 Likes nothing more than creeping around in the long grass. 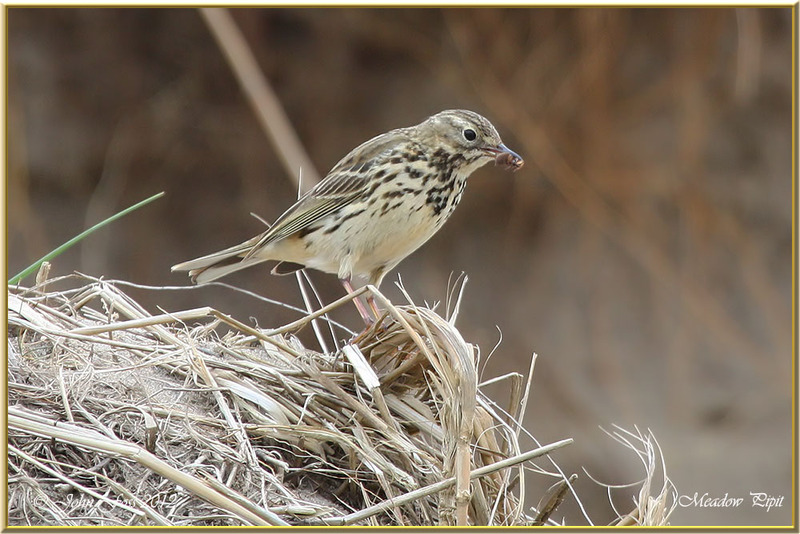 The diet includes insects, beetles, small fish, small shellfish and seeds. 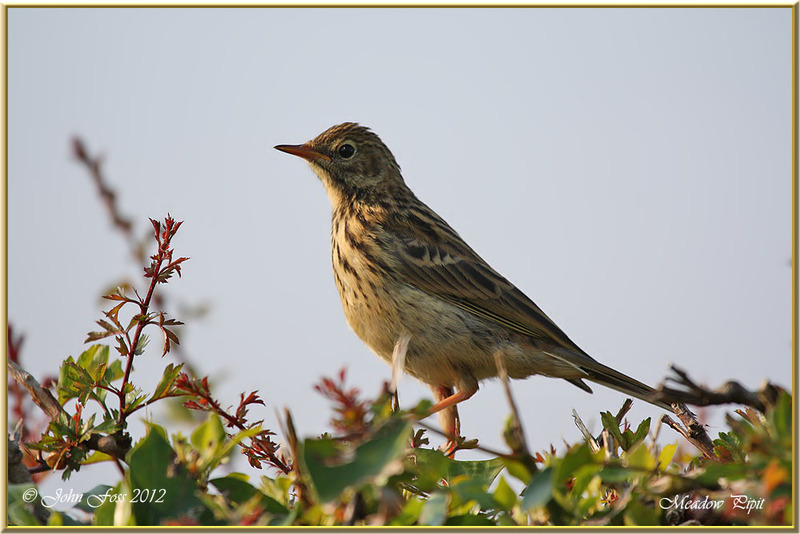 The Rock Pipit is it's similar coastal cousin. 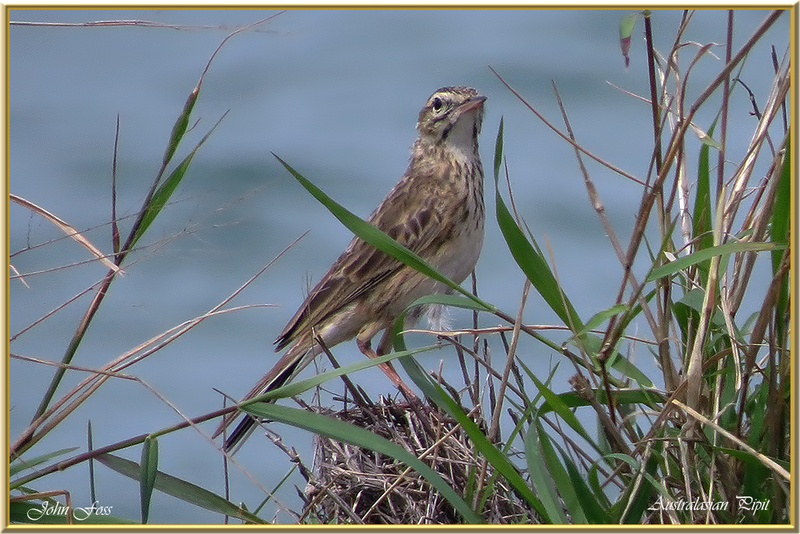 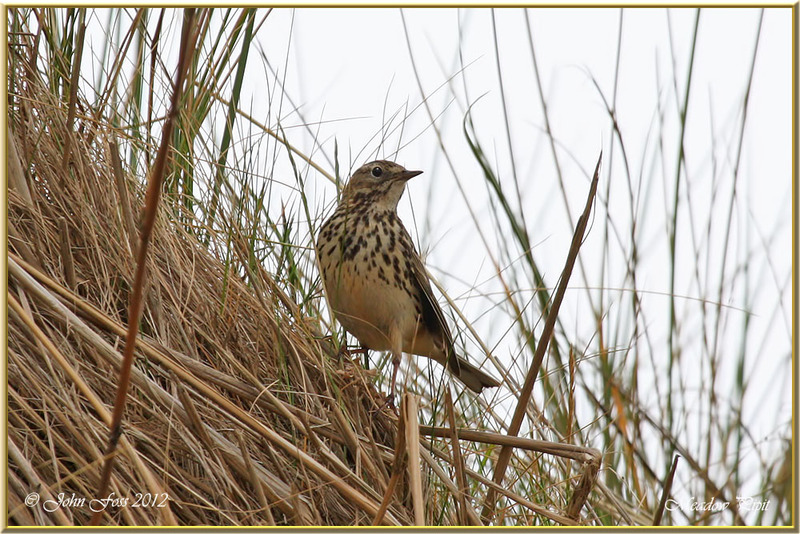 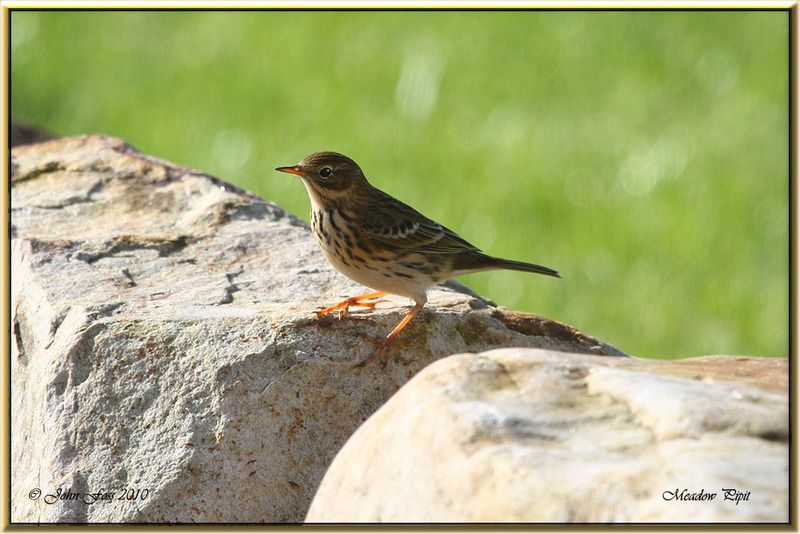 Also shown here is the very similar Australasian Pipit (Anthus novaeseelandiae) .